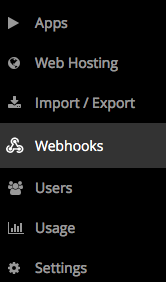 At Cosmic JS, we get questions every day about adding Webhooks to an application for better team & product management. Cosmic JS is an API-first cloud-based content management platform that allows you to easily integrate a CMS to your deployed or emerging application for content updates. Cosmic JS works by decoupling content from code, allowing you to build applications in your desired language since Cosmic JS can be integrated with any application, regardless of its programming language. Cosmic JS makes it easy to add Webhooks that trigger a POST request to the endpoint of your choice when there is activity on your bucket. Now this will post to the endpoint of your choice whenever the event signified occurs. This is great for static websites & great for the build process whenever content is changed. You can send a message on Slack to your team whenever you’ve added a new piece of content for draft review. Cosmic JS builds collaboration between developers & content editors in everything we do, because we work content-first. We just released a new Metafield to help you build content for your apps faster and easier. We are excited to announce the addition of our GraphQL API to help you get content from your Cosmic JS Buckets faster and more efficiently. The Cosmic JS community has been very supportive of adding GraphQL as an alternative to our REST API and we are happy to now make this available. As a developer, getting a CMS set up for your content creators requires a certain level of empathy. It's your job to make a technology choice that allows them to work in a comfortable environment and only see what they need to get their job done. In this tutorial I'm going to show you how to build a simple note taking app that can be used inside of your command line. We're going to use Cosmic JS which allows us to view these notes from anywhere on any device.